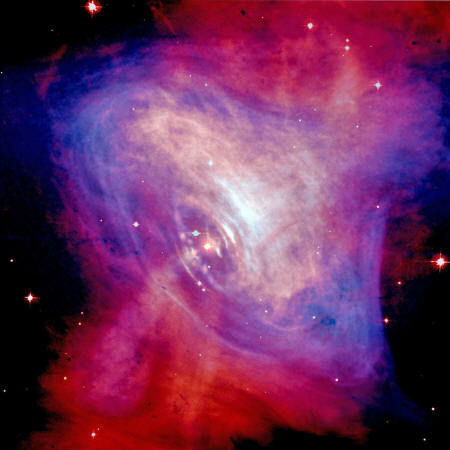 One of the biggest mysteries in astronomy is the question, where did all the antimatter go? Shortly after the Big Bang, there were almost equal amounts of matter and antimatter. I say almost, because there was a tiny bit more matter, really. And after the matter and antimatter crashed into each other and annihilated, we were left with all the matter we see in the Universe. You, and everything you know is just a mathematical remainder, left over from the great division of the Universe's first day. But is it possible that the antimatter didn't actually go anywhere? That if it's all still there in the Universe, floating in galaxies of antimatter, made up of antimatter stars, surrounded by antimatter planets, filled with antimatter aliens? Aliens who are friendly and wonderful in every way, except if we hugged, we'd annihilate and detonate with the energy of gigatons of TNT. It's sort of tragic, really. Antimatter is just like matter in almost every way. Atoms have same atomic mass and the exact same properties, it's just that all the charges are reversed. Anti-electrons have a positive charge, anti-hydrogen is made up of an antiproton and a positron (instead of a proton and an electron). But our galaxy is mostly made up of regular matter. This antimatter is detectable because it's constantly crashing into the gas, dust, planets and stars that make up the Milky Way. This stuff can't get very far without hitting anything and detonating. could you have an entire galaxy made up of antimatter? In theory, yes, it would behave just like a regular galaxy. As long as there wasn't any matter to interact with. If these galaxies were out there, we'd see them interacting with the regular matter surrounding them. They would be blasting out radiation from all the annihilations from all the regular matter gas, dust, stars and planets wandering into an antimatter minefield. 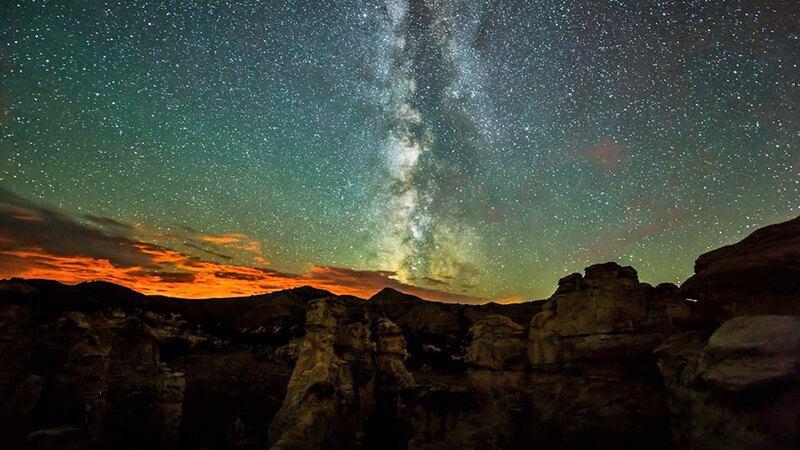 Astronomers don't see this as far as they look, just the regular, quiet and calm matter out to the edge of the observable Universe. That doesn't make it completely impossible, though, there could be galaxies of antimatter as long as they're completely cut off from regular matter. 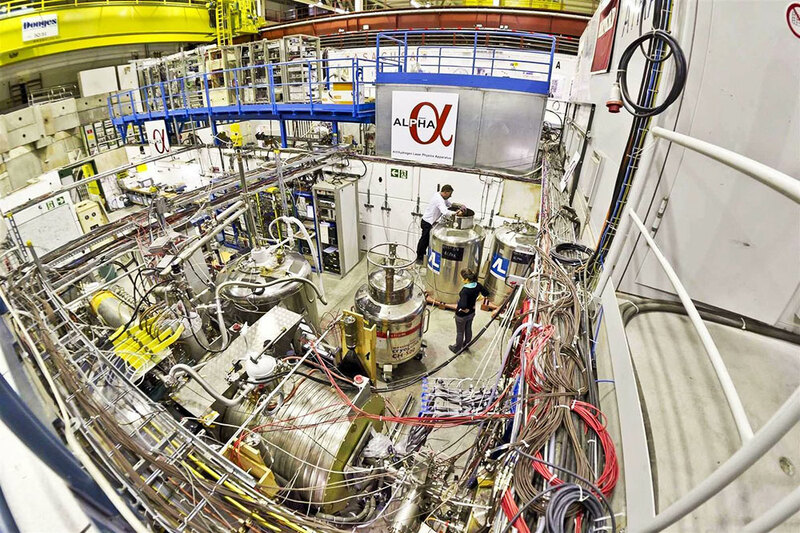 There's one open question about antimatter that might make this a deeper mystery. Scientists think that antimatter, like regular matter, has regular gravity. Matter and antimatter galaxies would be attracted to each other, encouraging annihilation. But scientists don't actually know this definitively yet. It's possible that antimatter has antigravity. An atom of anti-hydrogen might actually fall upwards, accelerating away from the center of the Earth. 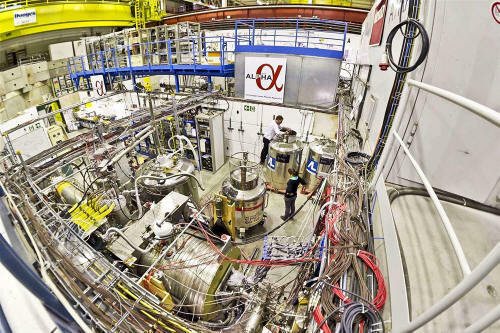 Physicists at CERN have been generating antimatter particles, and trying to detect if they're falling downward or up. If that was the case, then antimatter galaxies might be able to repel particles of regular matter, preventing the annihilation, and the detection. If you were hoping there are antimatter lurking out there, hoarding all that precious future energy, I'm sorry to say, but astronomers have looked and they haven't found it.